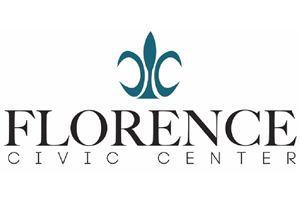 FLORENCE, S.C. – With the National Horseshoe Pitching World Tournament coming in 2018, the Florence Civic Center has set the precedent for Florence becoming a destination city. More specifically, the civic center’s upcoming $15 million expansion is making larger conventions and events a reality. Florence, which sits at the junction of Interstates 95 and 20, has been long considered for large meetings and conventions, but inadequate event accommodations often blocked any follow-through. That notion is changing, and the National Horseshoe Pitching World Tournament is proof. The civic center expansion plan includes an extension into the lower parking level, with the loss of about 300 parking spaces. The section will include 8,000 feet of subdividable meeting rooms, a new kitchen space and renovations of existing portions of the civic center. Officials say that space will be ready for use by January of 2018. The horseshoe tournament will be the largest single event hosted in Florence. It’s expected to draw thousands of tourists, generate 8,000 or more room nights at local hotels and have an estimated economic impact of approximately $3.5 million. Holly Beaumier, director of the Florence Convention and Visitor’s Bureau, said the tournament will be a major draw for Florence and be a great boost for tourism. “With the expansion of the civic center, the space for the tournament has also expanded," she said. “Florence is in really good shape to host this tournament." Several hotel projects are underway in Florence and will add roughly 500 more rooms to the area before 2018. Florence Mayor Pro-Tempore Buddy Brand, also a member of the Florence Civic Center Commission, said this event opens the door for other major events to come to Florence. He said organizations looking for host cities often look for adequate hotel accommodations, good advertising space, restaurant variety and access to interstate highways, which Florence has.